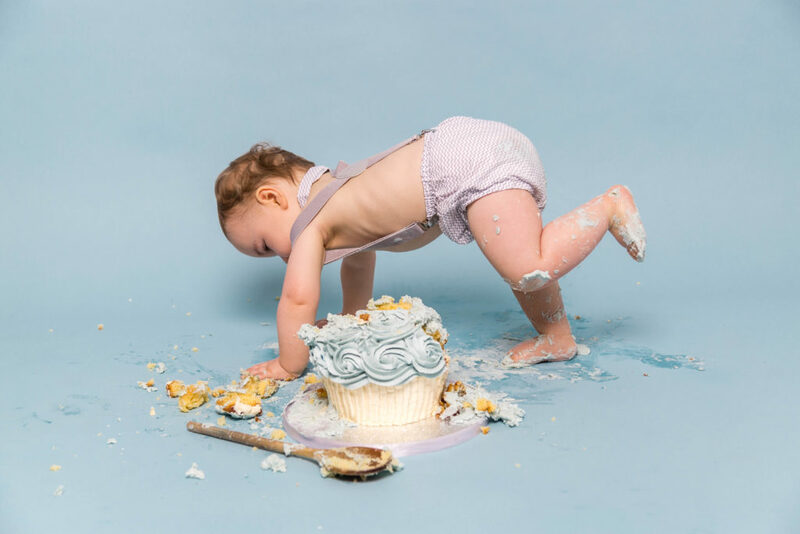 Return to me as your baby reaches 6-8 months (Sitter shoot – sitting up but not yet crawling) and then again around 12 months for the essential Cake Smash & Splash photoshoot! 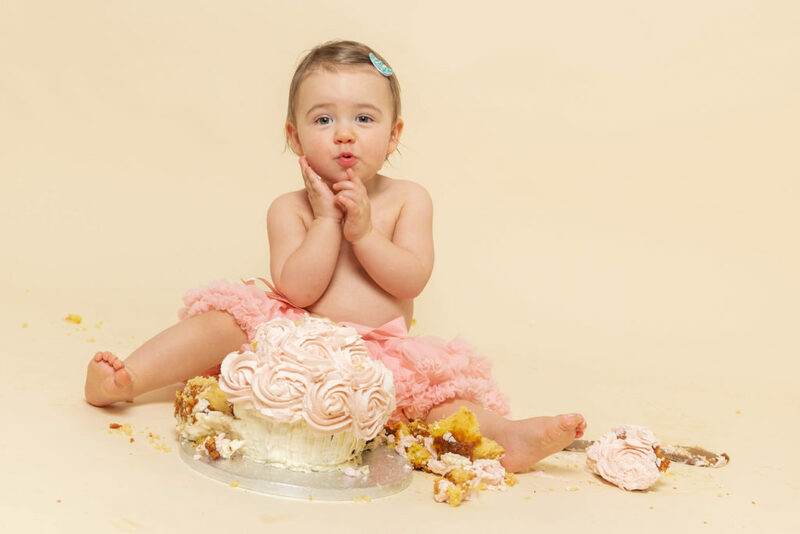 Hosted in the studio, this special session is for children aged 1-2. 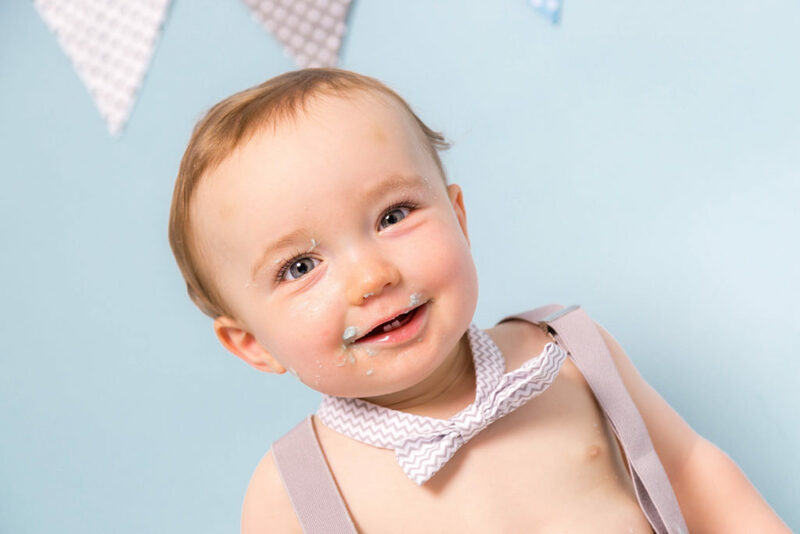 Usually in celebration of your child’s first birthday, we capture images for invitations, thank you cards and, of course, your family album. 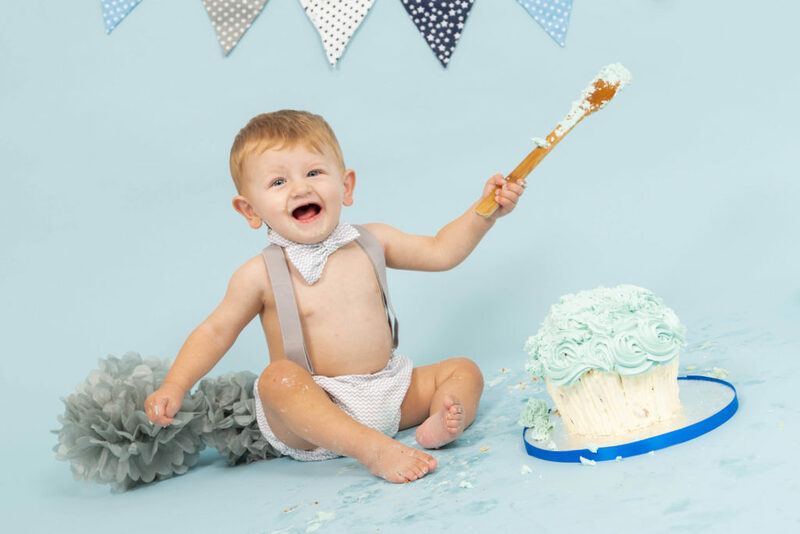 The photoshoot takes 1-2 hours and involves a portrait photoshoot then smashing a cake (or a jelly, if you prefer) followed-up with splashy fun in a tin bath full of bubbles. I even provide a locally-sourced cake, but you are also welcome to supply your own. 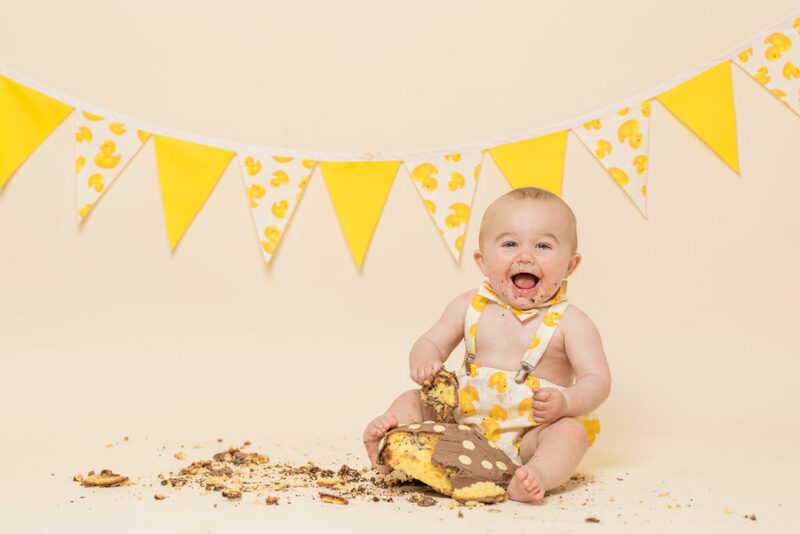 I’m always open to fresh ideas, so if you have some other messy photoshoot in mind then please do give me a call. 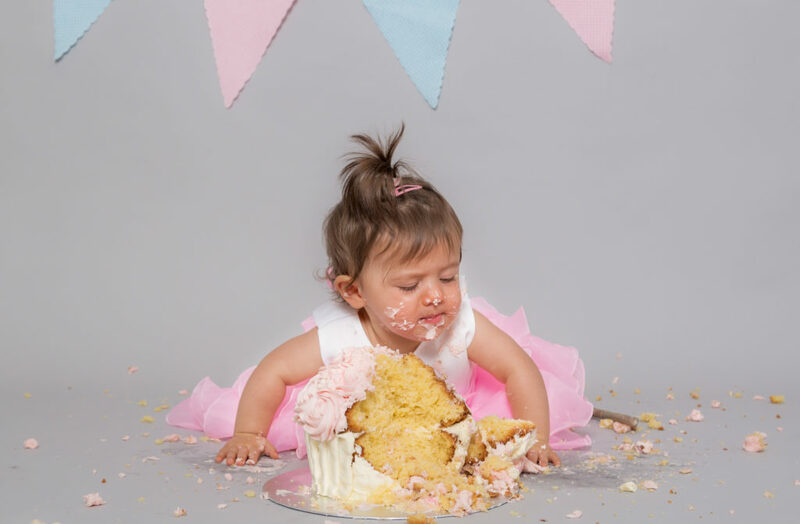 Sarah you have captured the beauty & innocence in Clara that is precious and now we have it to keep in perfect pictures – thank you.